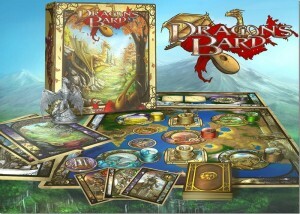 Albino Dragon has a new board game they're working on, entitled Dragon's Bard, up on Kickstarter. The game is based on the famous Dragonlance series of books. Dragon's Bard is based on the new novels from Tracy and Laura Hickman (of Dragonlance fame). The game explores their rich and vibrant world as you attempt to collect the most stories. Raid the treasure chests and spread some rumors as you move from the Glades of Eventide to the Port of Blackshore in your quest.